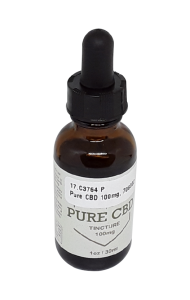 Pure CBD is another product that has been promoted via “free trial” scheme (Note: It is important to realize that this product is different from CBD Pure, a highly-rated product that is not marketed by any misleading free trial promotion). Many customers who have ordered Pure CBD for a small “trial” fee report that they have had their credit cards later billed without permission for $87, under what the company calls a negative option membership. Lab test results do confirm the product does contain the full 100 mg of CBD as advertised. While the products ingredients and potency do match up with label claims, the misleading free trial promotion methods, and its use of a name very similar to the CBD Pure line, make it a product to be cautious about. It also uses isolate, rather than full spectrum hemp oil to reach its potency levels.